Want to bake the most-awesome-ever cupcakes? Or surprise your family with breakfast tacos on Sunday morning? Looking for a quick snack after school? Or maybe something special for a sleepover? It's all here. Learn to cook like a pro--it's easier than you think. Recipes were thoroughly tested by more than 750 kids to get them just right for cooks of all skill levels--including recipes for breakfast, snacks and beverages, dinners, desserts, and more. 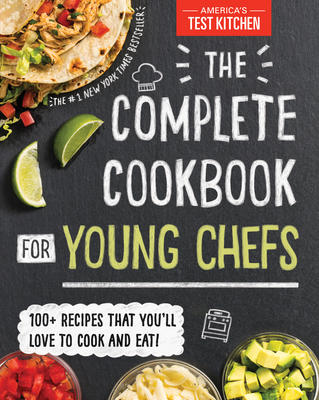 Testimonials (and even some product reviews ) from kid test cooks who worked alongside America's Test Kitchen will encourage young chefs that they truly are learning the best recipes from the best cooks.